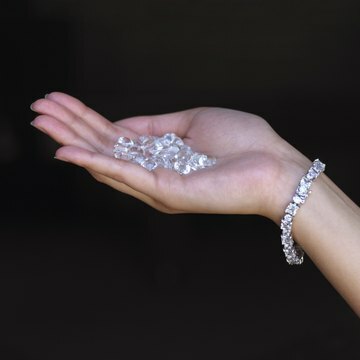 Typically, a court can only divide assets, including jewelry, that are marital property. Certain property, such as that acquired before marriage or by gift or inheritance, is not divisible by most courts in divorce. Engagement rings are not marital or community property because they are gifts given prior to the marriage. Thus, they are considered the separate property of the spouse who received the ring. In some states, like Florida, all jewelry purchased during the marriage is marital property, including jewelry purchased by one spouse as a gift for the other. As marital property, both spouses have a right to a share of its value, though the exact method of distribution varies by state. Courts in equitable distribution states divide marital property equitably between spouses, though not necessarily equally, based on certain statutory factors. Courts in community property states divide property equally, so the value of the jewelry would be split 50-50. Before a court can divide a marital asset, it must know how much the asset is worth, so most high-value marital assets, including jewelry, must be appraised. This allows the court to balance the value of the jewelry or other asset against the value of other marital assets. If state law permits the court to consider the value of each spouse’s separate assets when making spousal support decisions, engagement rings and other jewelry that is one spouse’s separate property may also require appraisal. Since it is impractical to divide jewelry by splitting each piece in half, divorce courts tend to divide the value of each item. A judge might allow one spouse to keep the jewelry she wore during the marriage but offset the value of that jewelry by awarding her spouse other high-value items. If this is not possible, perhaps because the spouses do not have other high-value items, the judge could order some of the jewelry sold and the proceeds split between the spouses. Alternatively, the judge could award more jewelry to one spouse and give her a higher portion of the couple’s debts to balance the value of the jewelry. Gorski Law Office: What Is Marital Property?